This picture shows the path up to Great Door on Yewbarrow. 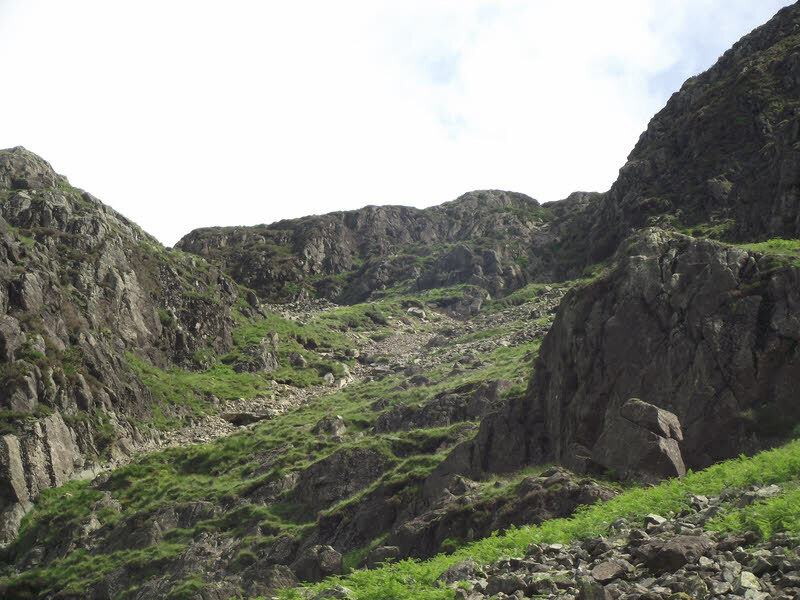 The path runs behind the rocks to centre-right, and reaches the top of the scree run just below the upper crags. There is then a short scramble up to Great Door and the main ridge.